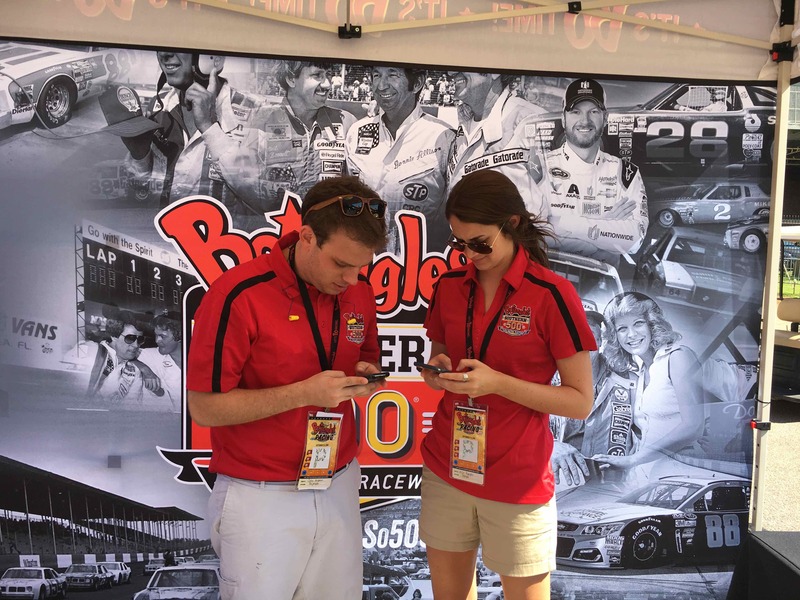 Meet Colby Anderson and Allie Papajohn, the Bojangles’ Restaurant Social Media Team. What’s the purpose of your brand? We’re the chicken and biscuits brand that is dedicated to honoring traditional southern recipes through a new generation of unique flavors. 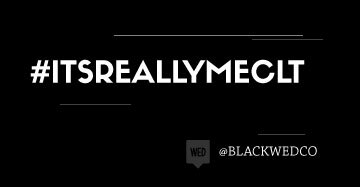 How long have you worked with/on your current brand? How do you adapt your account to popular/trending themes? Yes. Unless it’s a real time situation, we both review content before it goes out. 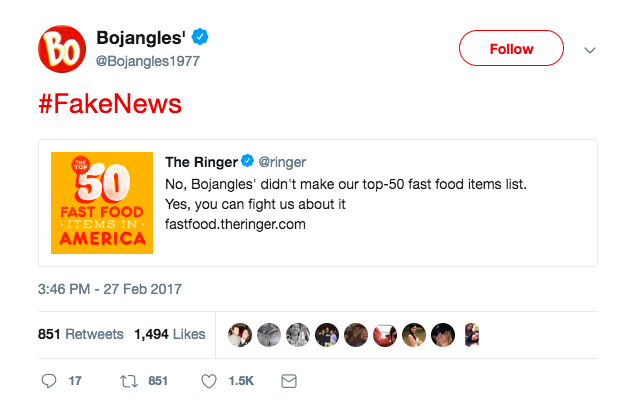 While not an “approval” process, we do work with our PR and marketing team to ensure the brand has consistent messaging through traditional and social media. 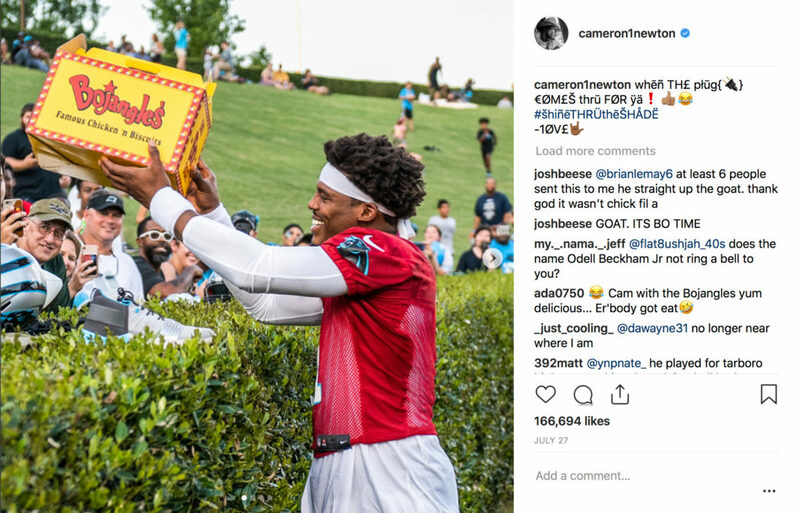 Cam Newton direct messaged Bojangles’ on Instagram while he was at training camp this past year. After we stopped freaking out, we messaged him back and drove a Big Bo Box to him. 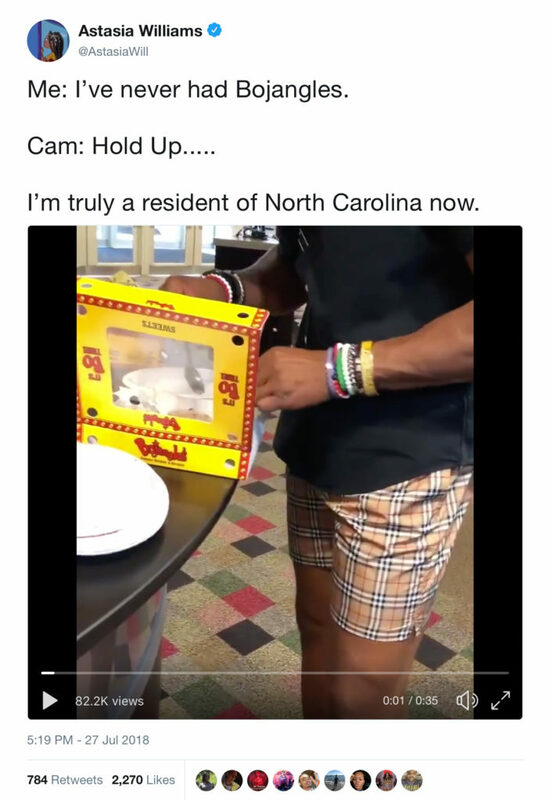 He shared with the Panthers social team and posted pictures of Bojangles’ on his personal Instagram. What is the post you are most proud of? What do you wish people knew about your role/account/brand? 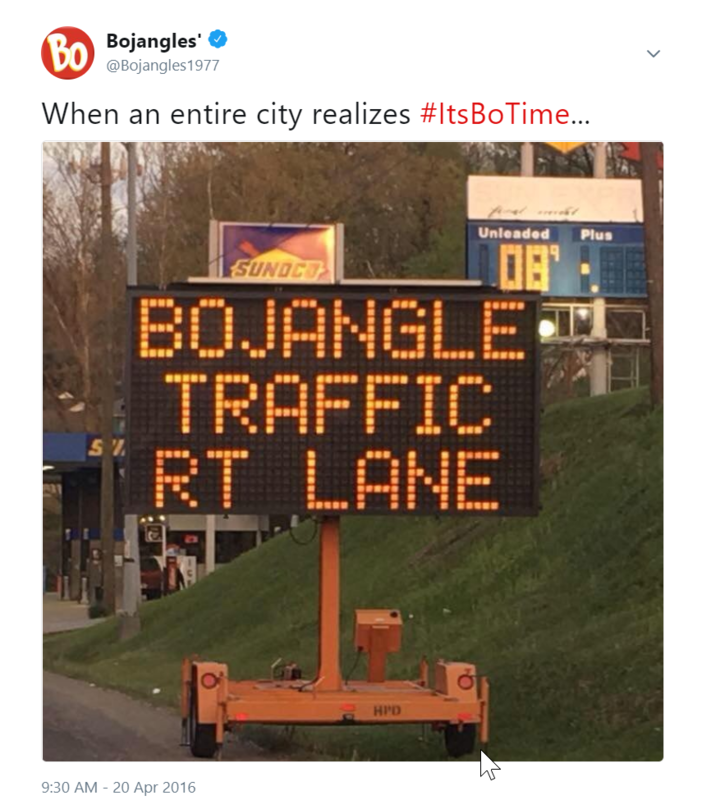 That Bojangles’ was founded and based right here in Charlotte. We love calling the Carolinas our home.